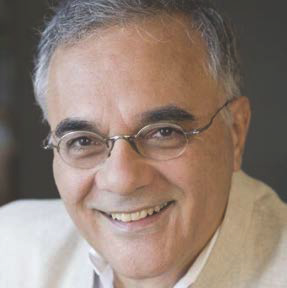 Mahmood Mamdani received his Ph.D. from Harvard University in 1974 and specializes in the study of African history and politics. His works explore the intersection between politics and culture, a comparative study of colonialism since 1452, the history of civil war and genocide in Africa, the Cold War and the War on Terror, and the history and theory of human rights. Prior to joining the Columbia faculty, Mamdani was a professor at the University of Dar-es-Salaam in Tanzania (1973-79), Makerere University in Uganda (1980-1993), and the University of Cape Town (1996-1999). He has received numerous awards and recognitions, including being listed as one of the 'Top 20 Public Intellectuals' by Foreign Policy (US) and Prospect (UK) magazine in 2008. From 1998 to 2002 he served as President of CODESRIA (Council for the Development of Social Research in Africa). His essays have appeared in the New Left Review and the London Review of Books, among other journals. Mamdani teaches courses on: major debates in the study of Africa; the modern state and the colonial subject; the Cold War and the Third World; the theory, history, and practice of human rights; and civil wars and the state in Africa. His books include Saviors and Survivors: Darfur, Politics, and the War on Terror (2009); Good Muslim, Bad Muslim: America, the Cold War and the Roots of Terror (2004); When Victims Become Killers: Colonialism, Nativism and Genocide in Rwanda (2001); Citizen and Subject: Contemporary Africa and the Legacy of Late Colonialism (1996), which was awarded the Herskovitz Prize of the African Studies Association; Politics and Class Formation in Uganda (1976); From Citizen to Refugee (1973); and The Myth of Population Control: Family, Class and Caste in an Indian Village (1972).